Church House Gardens was constructed by an Abel Moysey, who leased the land from the Bishop of Rochester’s agent in 1832. He was responsible for landscaping the grounds; creating lawns, shrubberies, and fishponds. The carriage drive created can still be seen today off the entrance on Church Road. 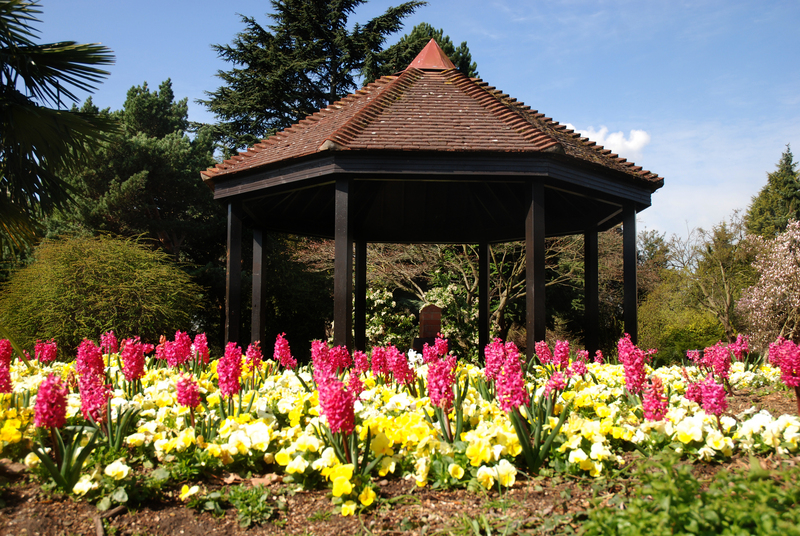 Originally the turning circle for horse drawn carriages, it has become one of Bromley’s award winning flowerbeds. In 1926, Church House and its grounds were purchased by Bromley Council who paid £7,000 for an estate of over 11 acres including the house and three cottages. It was opened to the public by the Mayor, Councillor B.A. Granville; a very grand affair with the Bickley Band entertaining visitors in the afternoon followed by a spectacular Bromley Silver Band concert to conclude the fanfare in the evening. Along with the Parish Church the house was destroyed in April 1941. The gardens however remain. 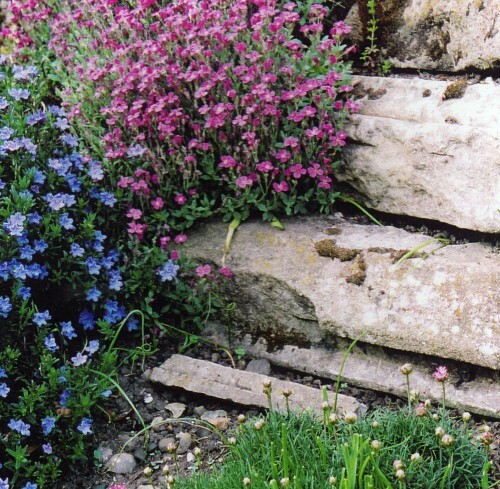 Church House Gardens has seen a gradual change over the 20th century. It was used as the headquarters for emergency services during the General Strike. In the 1930’s, the Bromley Board used the abundance of readily available labour to continue to landscape and improve the grounds. 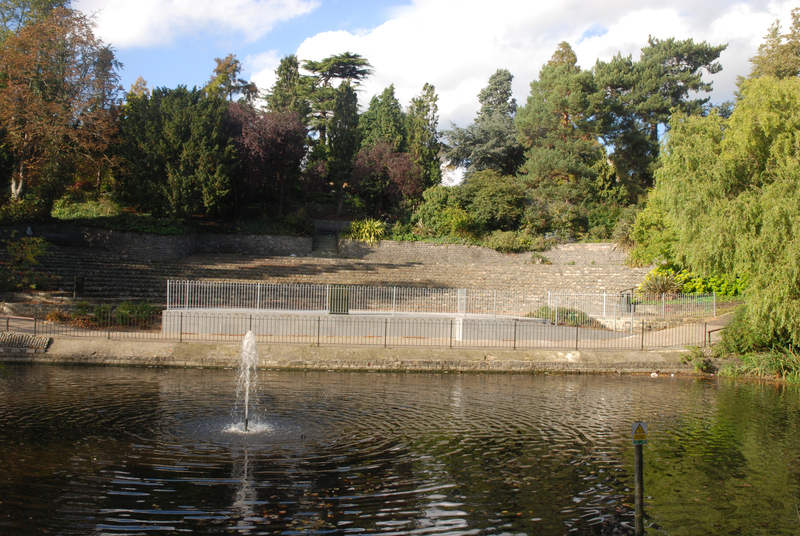 A boating pool was created in 1933, and a lake was created by merging earlier ponds, and survives today in the form of the lake next to the Amphitheatre. Band concerts were a regular weekly activity on the lake and the orchestra entertained in a thatched building located on its own island. In September 1963, this unique thatched bandstand was destroyed by fire – seats were thrown into the lake, and together with damaged trees and shelters, the estimated cost of repairs reached a staggering £2,000. Needless to say, the council reluctantly were unable to meet this cost. The Gardens have continued to evolve and in 1977, the Churchill Theatre and Library opened. In 1979, the ‘Dell’ was created, a major improvement scheme to improve the lower part of Church House Gardens. In its 11 acres, on two different levels, are a number of features. Rose beds & formal flower beds. These can be found in the upper gardens, around the original circular carriage drive of the former Church House. The formal beds are replanted twice a year. Nearby is a gazebo (see above) and stone balustrade providing delightful views over the lower gardens. Tree Trail. A revised booklet is under developement. Children’s play areas. Slides, climbing frames etc. with protective surfaces in a compact area below the main lake. There is also a seaside themed play area, with real sand and a ‘pirate ship’. Adjacent there are grassed slopes for parents and children to relax. Skateboard/scooter park. 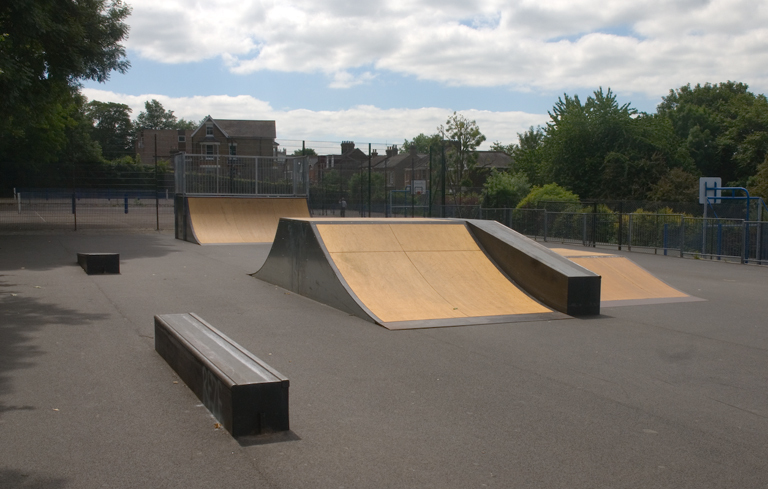 Very popular and with good facilities for both skateboards, scooters and BMX bikes . Dickerson’s Copse. A small area of naturalised woodland just above the games courts. It can be accessed either from near the main lake, or Ethelbert Road. A quiet area dedicated to wildlife. 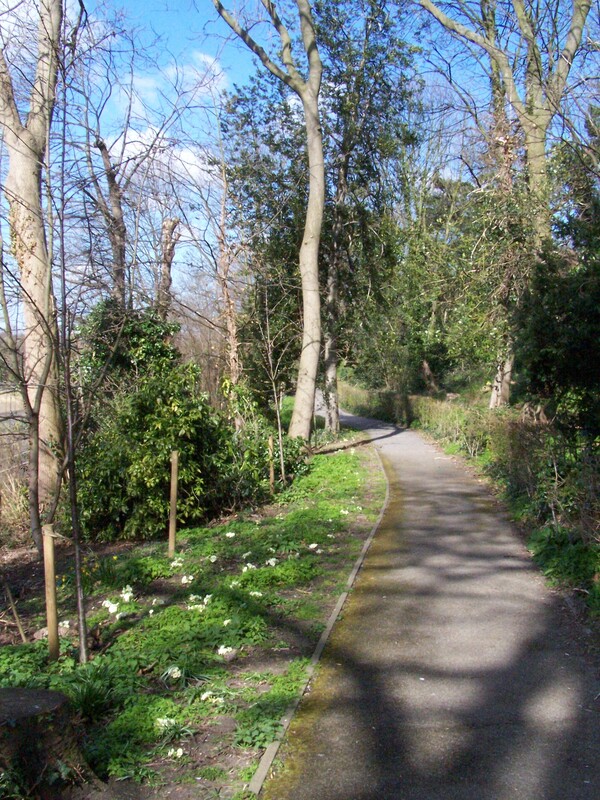 You can enjoy a peaceful and shady walk beside this delightful area. Named after Gordon Dickerson (1932-1987), a local biologist, teacher and nature conservationist who campaigned for local wildlife, and in his last years honorary warden of Ruxley Gravel Pits nature reserve .